Welcome to Saxon Homestead Farm. 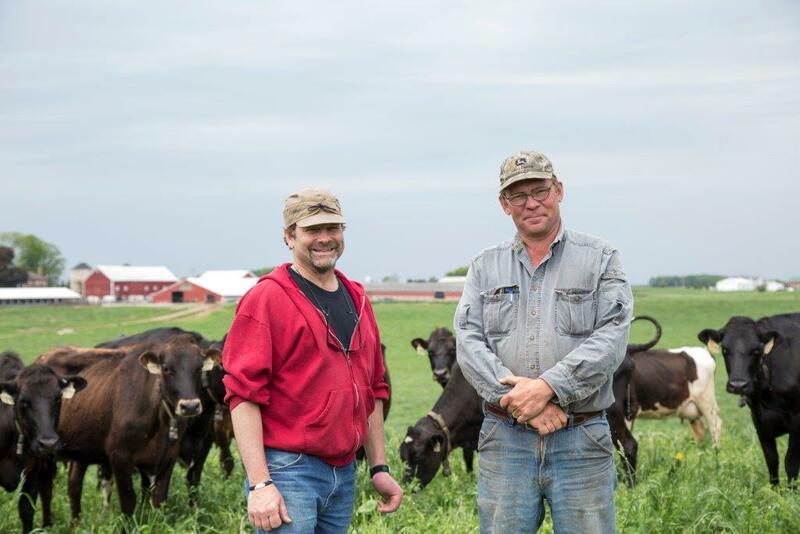 We are Karl and Robert Klessig, fifth-generation Klessig brothers, and we own and operate the farm with our families and dedicated employees. Photo courtesy of Hoard’s Dairyman. First we’ll stop in the milking parlor. 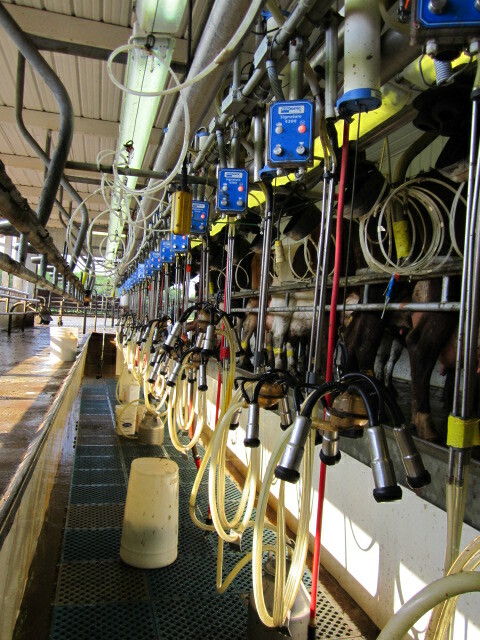 Our milking parlor is a swing parlor that holds 28 cows on each side. We’re grateful to our enthusiastic employees, who help us keep our farm running. Our cows get milked twice a day: once in the morning and once in the evening. As we walk out of the parlor, we see the milk man has arrived. 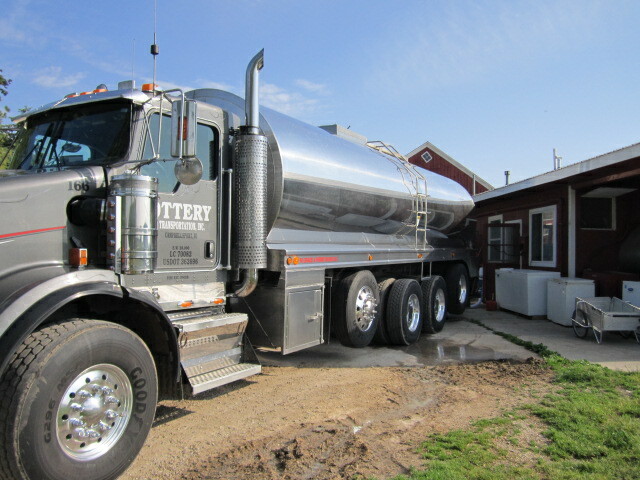 He’s currently inside the building preparing to transfer the milk from the cooling tank to the milk truck. Now that the morning milking is done, let’s take a walk down the road to see our herd cross into a fresh paddock, or section of pasture. This sign comes in handy on a day like today! 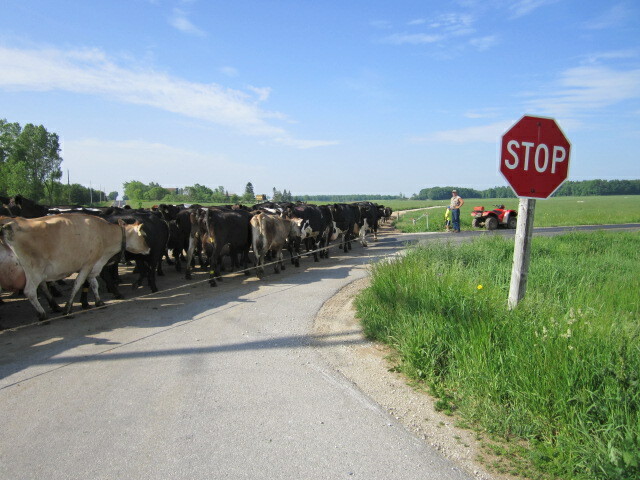 We appreciate the patience of passing motorists while our herd crosses the road. We have to clean up after the herd. 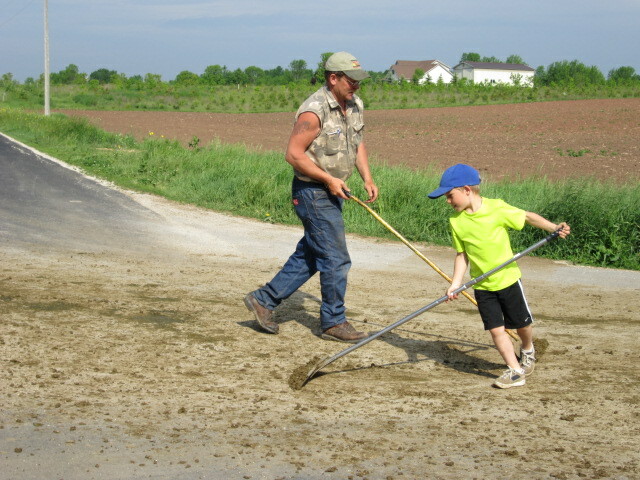 Robert’s son Peter, part of the sixth generation of Klessigs, grabs a scraper and lends a hand. Now that this work is done, let’s take a stroll back up the road and walk past our calves in the pasture. 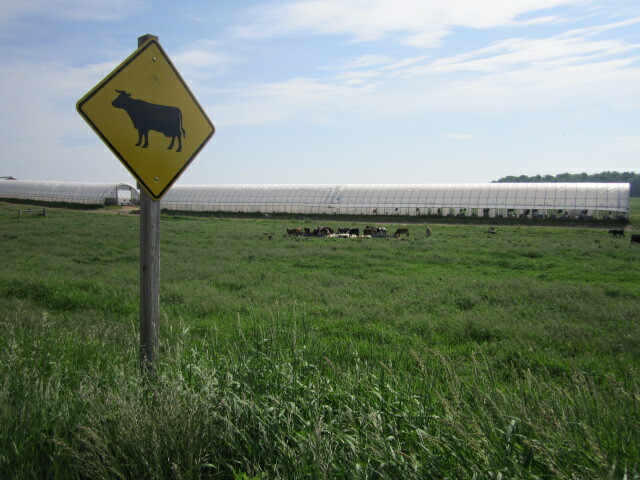 These calves were born earlier this spring and are now beginning to graze our pastures. 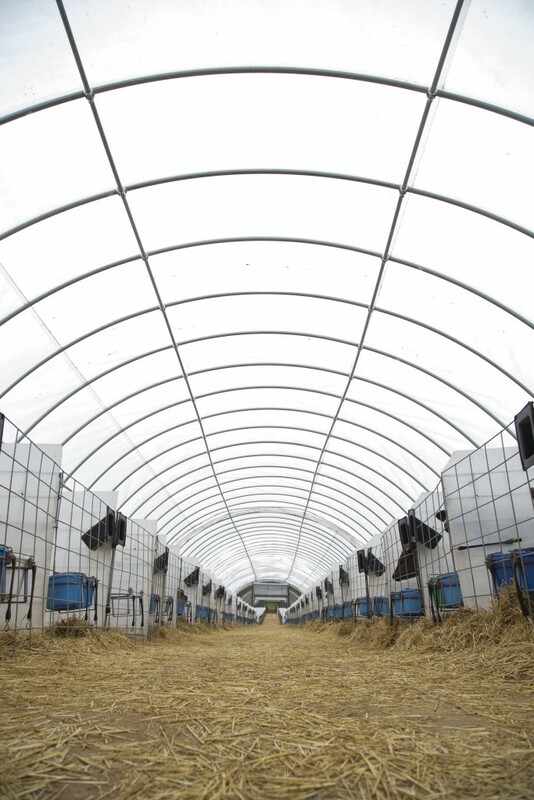 The hoop barn houses our younger calves, protecting them from the elements, such as wind, rain, and hot sun. The barn provides great ventilation and protection for our youngsters. 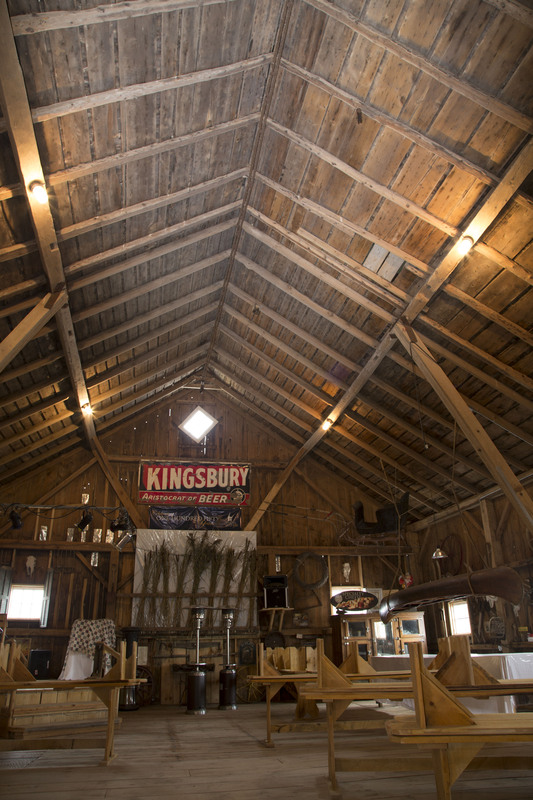 This tour would not be complete without seeing our renovated historic barn, one of the oldest buildings on our farm. 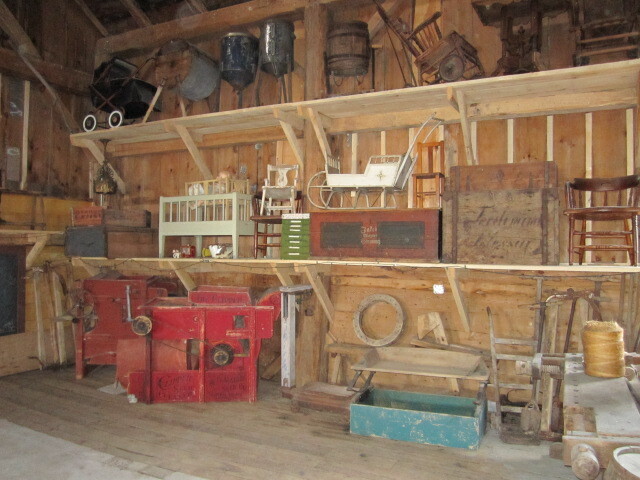 Our barn is home to historic relics and antiques, remnants from earlier eras which showcase how life on the farm has evolved. 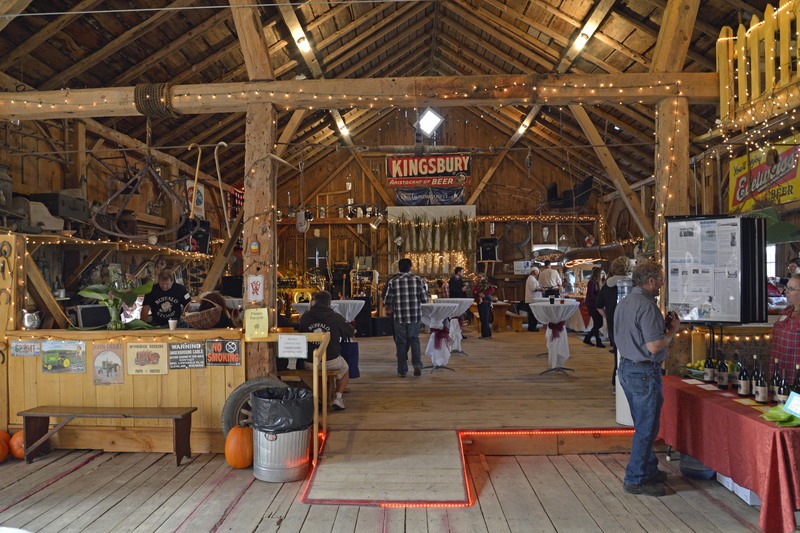 In addition to relics, our barn holds a variety of events, including fundraisers, family weddings, and barn dances. Here is a photo from the annual barn dance we host to raise money for a team of nonprofit organizations working to conserve farmland and natural resources, support beginning and continuing farmers, and sustain vibrant communities to improve rural and urban life in Wisconsin. Read more here. 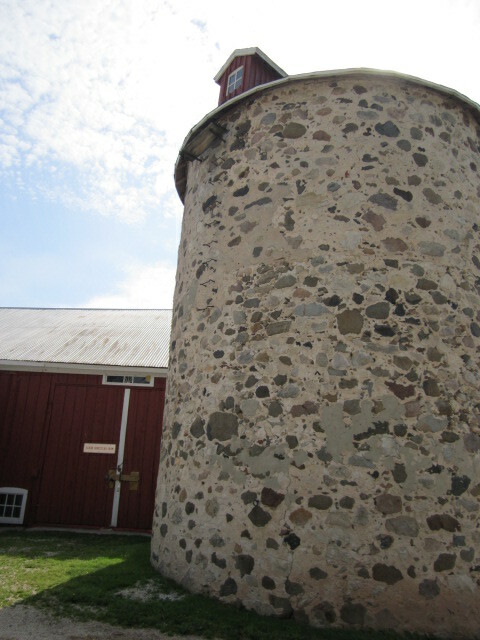 Just outside the barn, our nineteenth-century silo watches over the homestead. It is a very unique site to see. 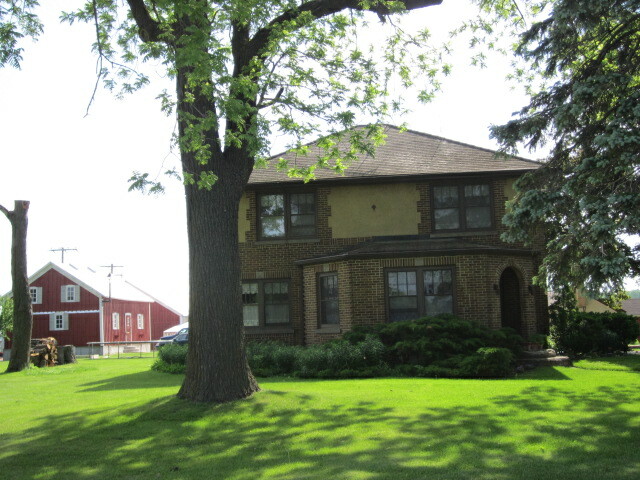 Just a short stroll away from our barn and silo rests the beautiful brick farmhouse. In front of the farmhouse, the legendary black walnut tree, planted shortly after the farm was homesteaded, still lends its shade today.